a couple of links to share is all. first is a collection of stunning images done by the institute of optics at the university of rochestser. 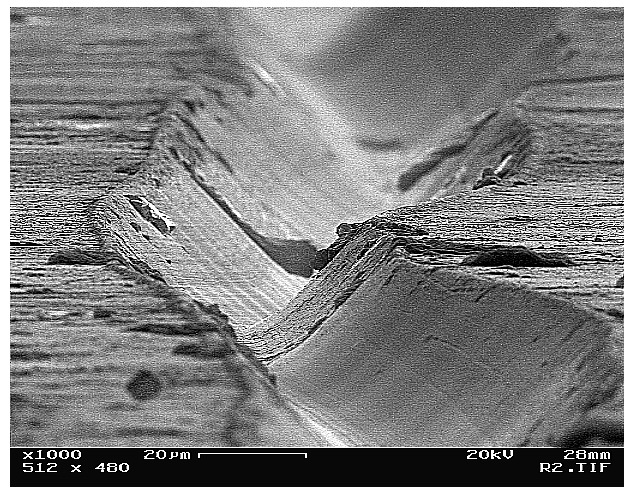 they put a vinyl record under an electron microscope to see what those grooves look like REAL close. second is a pretty cool ad for technics cassettes from japan, circa the mid-80s. hat tip to Yoga Records for this one. I would love to go to a gallery showing of those LPs cloe up and personal. They would look amazing blown up to subway poster size- don't you think? Killer post!